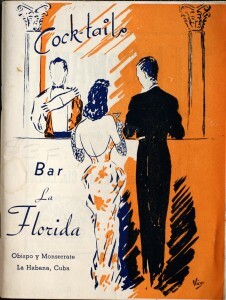 El Floridita (an endearing diminutive for the phrase La Florida) is at the top of countless bartenders and cocktailians’ list of watering holes to visit within their lifetimes. 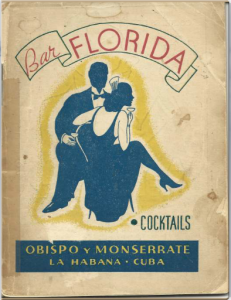 And of course, that visit includes sipping a Daiquirí, as Floridita is recognised as the birthplace of a few classic Daiquirí variations. Hemingway drank there so often that a life-size bronze statue of Papa occupies his spot at the end of the bar. The place hasn’t changed much since Constantino Ribalaigua Vert took over ownership in 1918, when owner Don Narcisco Parrera retired. The bar team’s uniforms are the same. The menu has hardly varied. The décor looks surprisingly like it does in the vintage photos on the walls. This (thanks in no small part to the everlasting US trade embargo with Cuba) has preserved the perfection Constante created. He was also kind enough to write down his recipes and publish them in a souvenir book printed just a few times during the 1930s. 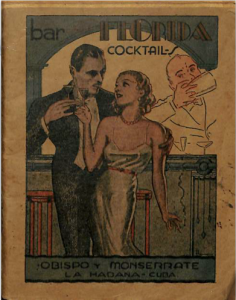 Click here to read the 1935 edition. 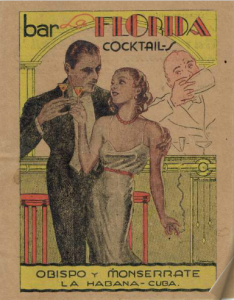 Click here to read the 1937 edition.